Don’t get locked out of your data! 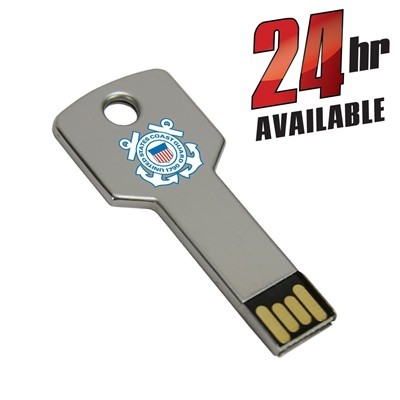 Open up your information with the Flash Key custom USB Drive! This customizable drive is pocket-sized and made out resilient and powerful metal. 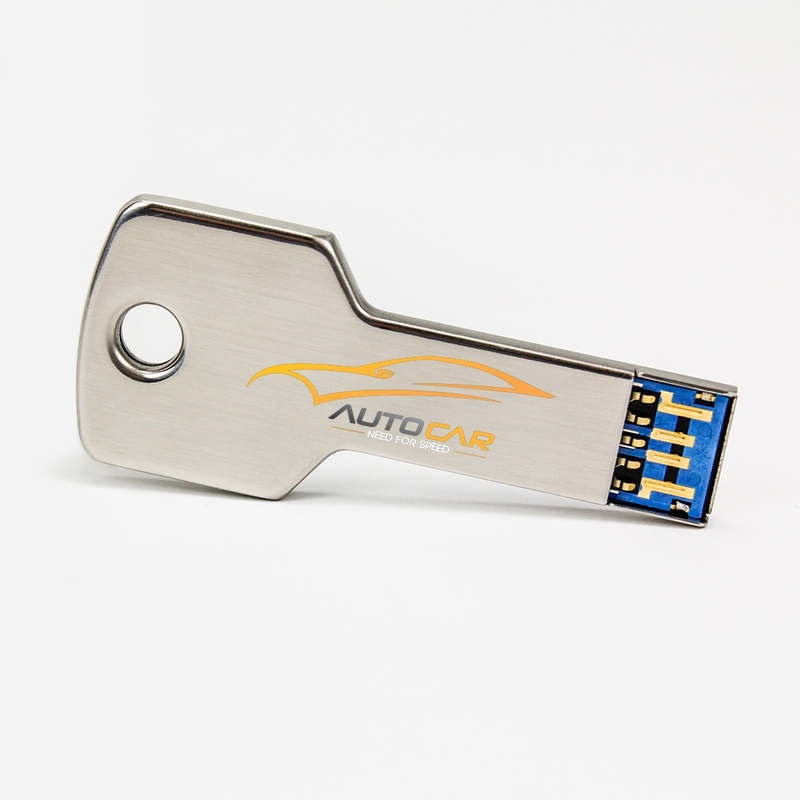 It comes with FREE 4-Color Printing, so you can personalize your key drive with your logo or brand. 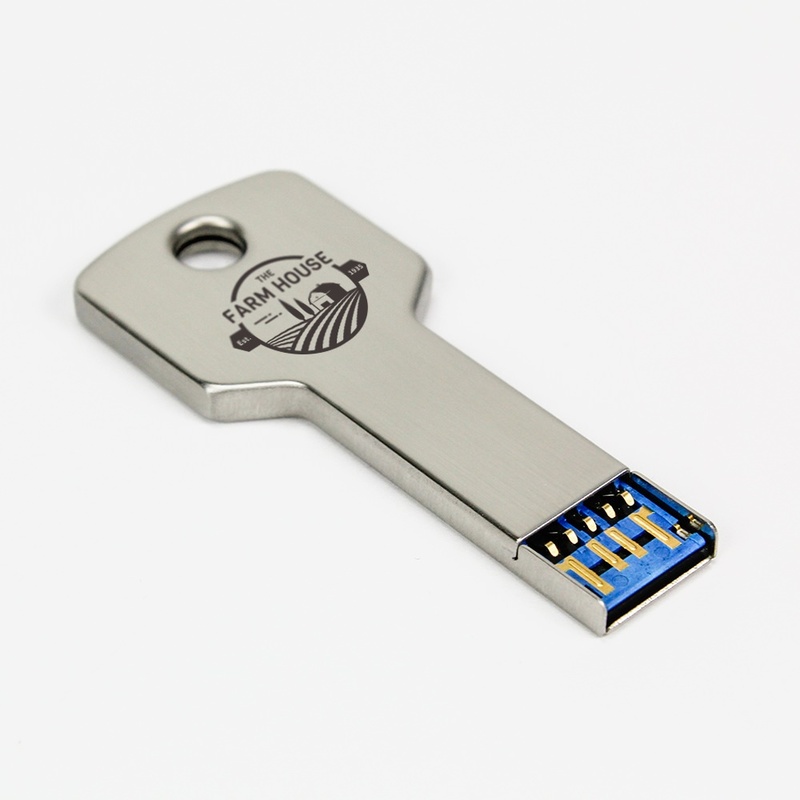 The custom Flash Key has an impressive range of storage capacities and comes with a built-in key loop for easy transport on a key ring. 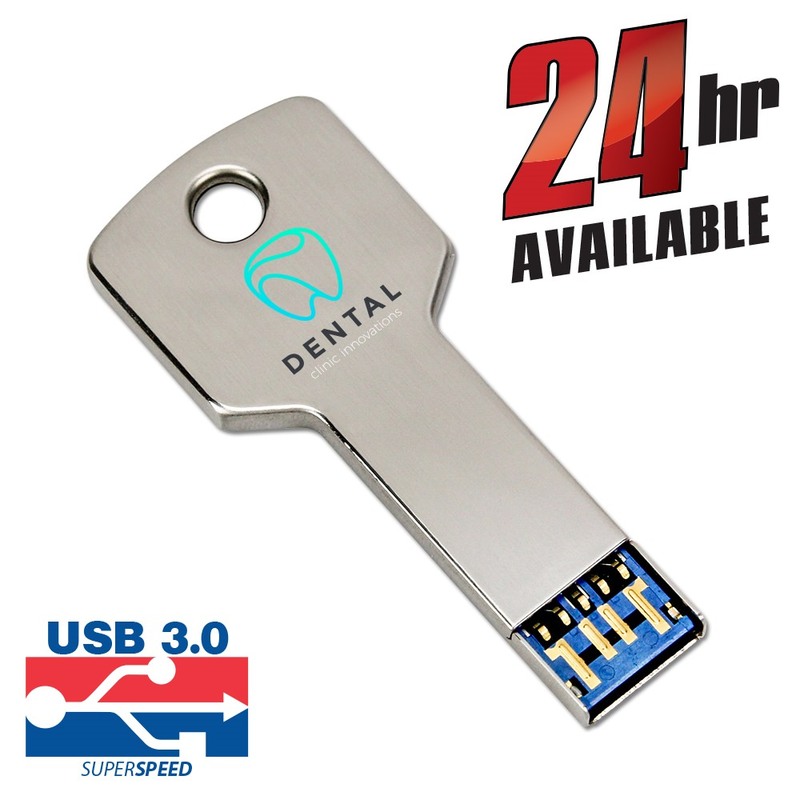 This Hi-Speed branded USB key comes with up to 10 years of data retention and a limited lifetime warranty. Available with free shipping. 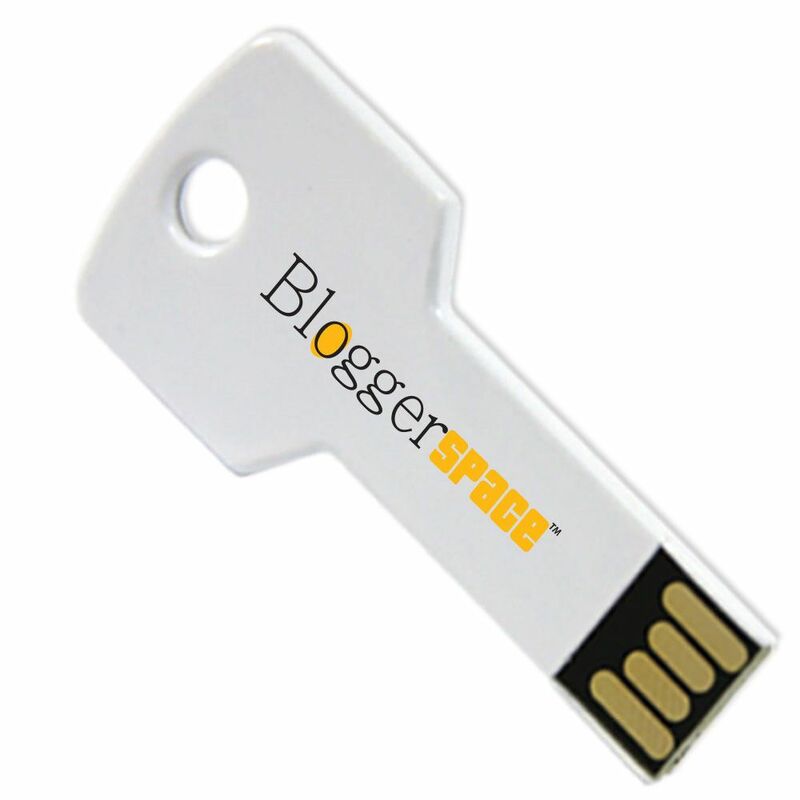 Unlock the power of branding with this key-shaped USB drive! 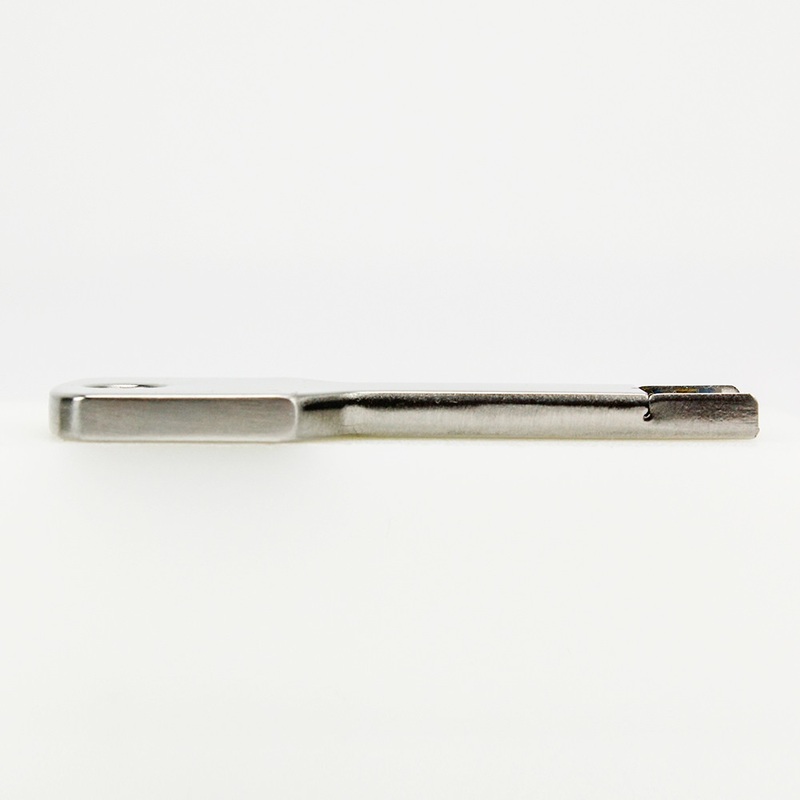 The Flash Key custom USB is compact and made out of strong metal. 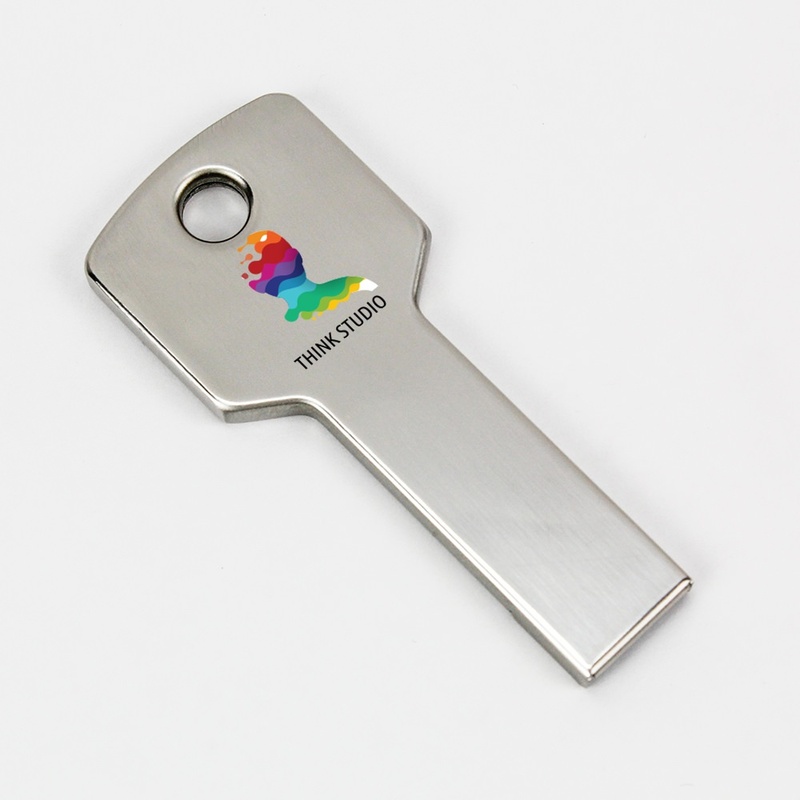 This customizable drive comes with FREE 4-Color Printing, so you can personalize your key drive with your logo or brand. 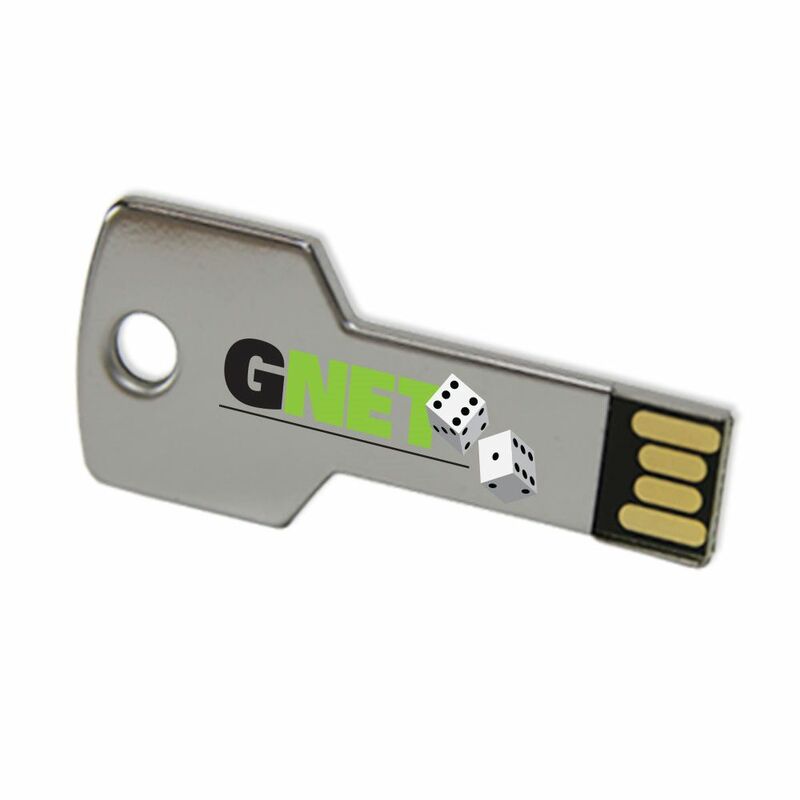 The custom Flash Key features storage capacities ranging from 512MB to 32GB, perfect for storing your documents, pictures, videos, music, presentations, multimedia, and other important files! 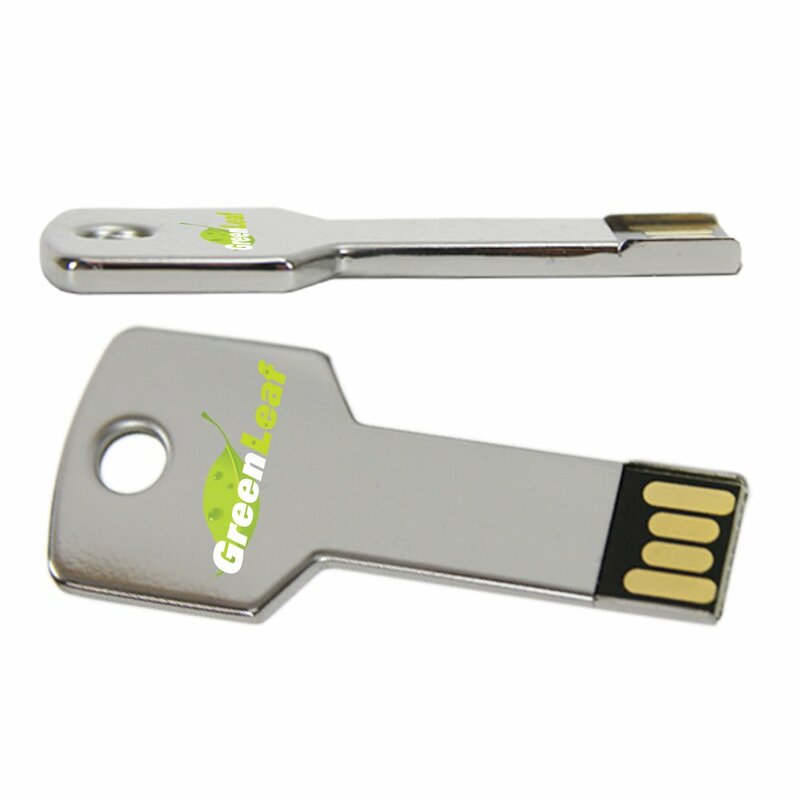 It also comes with a built-in key loop, making it easy to attach your Flash Key to a keychain, keyring, belt loop, strap, laptop bag, necklace, or anywhere else you need this powerful drive handy. This Hi-Speed Drive is compatible with PC, Mac, and Linux. 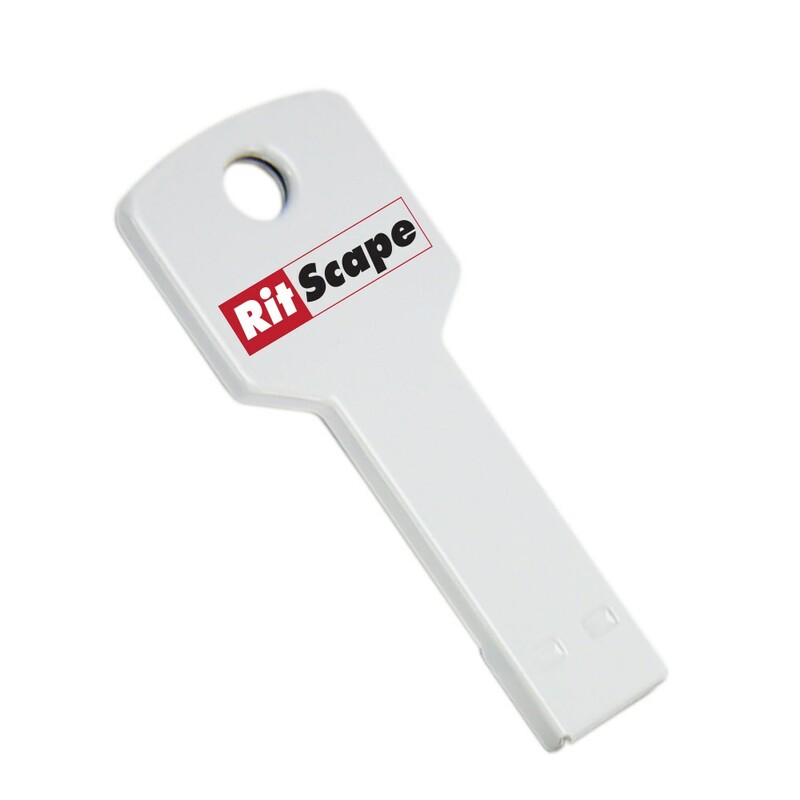 It has a shock resistance of 1,000G, up to 10 years of data retention, and a limited lifetime warranty. The Flash Key custom USB is available with FREE shipping. 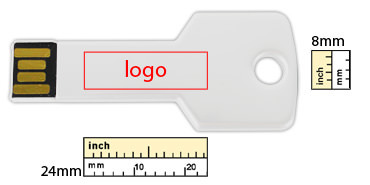 The turn time for customizing the key is around 10 business days with Standard and 1-3 with Express. 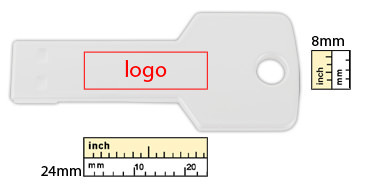 The Flash Key USB can also be produced in less than 24 Hours. Talk about turn key!